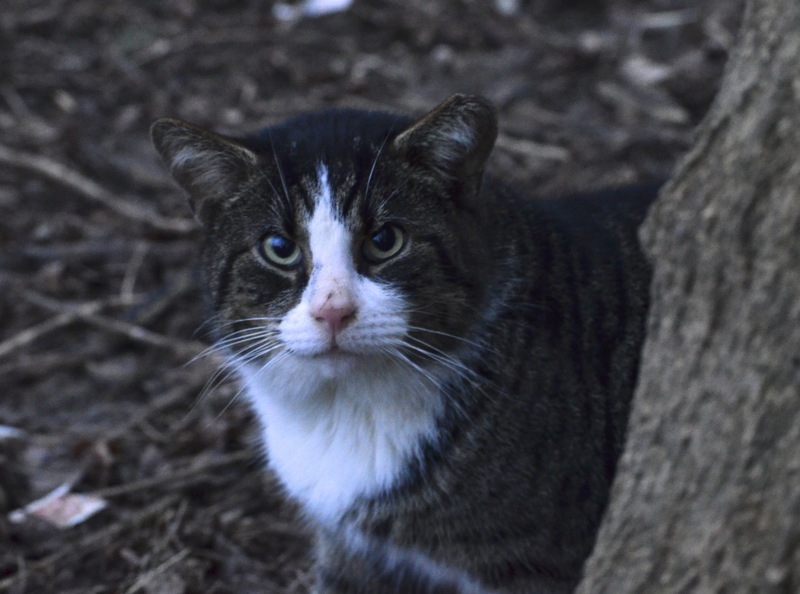 There is a colony of feral cats that live in a small wooded lot in a highly urban area. Their home is sandwiched between a movie theater and a Sonic drive-thru. All the colony residents have been trapped, vaccinated, neutered, and released back into their colony (TNR). Many people know of the “popcorn cats” and sometimes they decide to dump their unwanted (and often un-neutered) cats into the colony, thinking it is a good alternative to a shelter. But, it only furthers the issues of cat overpopulation, exactly the problem TNR aims to curb. That cat has such a funny face. He’s like why you no leave ma house!